Four soldiers headed out to Fort Morgan in Colorado for a New Year’s Eve duck hunt. One of the soldiers, Ryan, was the coordinating volunteer for the event. He hosted Justin and Nick, who are both retired from the military due to combat injuries. Justin, although an artillery specialist, was attached to an infantry unit in Afghanistan, where he endured intense firefights while on patrol. This husband and father of five still struggles with the trauma of his deployment. Nick has had a similar experience of trying to cope with combat stress and personal tragedy since coming home from the war. 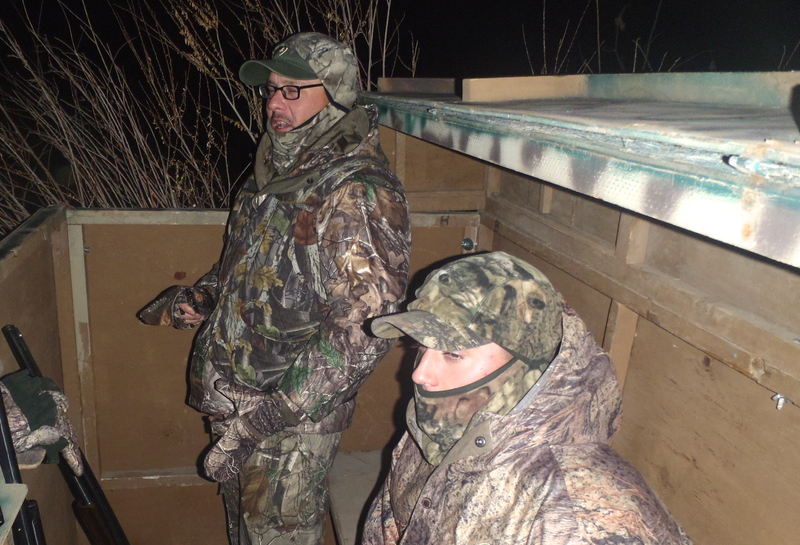 The commander of the Fort Carson Warrior Transition Battalion (WTB) joined the hunt as a surprise guest. He spoke to us about what recovering soldiers need: that is mainly motivation to heal. He said that Freedom Alliance events, such as this hunt, provide that motivation to his men. Many times, soldiers who are dealing with combat stress won’t talk to their therapists about what they’ve been through. Get them out in the wilderness alone, with someone who can relate to their experience, and then they start to open up. The more they talk, the more they feel they are on common ground. It is important that our wounded soldiers know that they have not let their country down. These four men had a lot to chat about during their hunt, and it was natural camaraderie since they all served in Afghanistan about the same time and saw a lot of the same things. The birds they took will be stuffed and mounted as keepsakes of their outdoor adventure. Freedom Alliance proudly supports Warrior Transition Battalions across the country and their commitment to our nation’s injured veterans. It is our hope to play a role in these warriors’ recovery, by showing our gratitude and making life a little bit easier.